It might seem silly to say it, but valuing health is the first step toward promoting it. Ill and injured workers cost employers $153 billion every year, and the number is rising, according to the Clinton Foundation. It can sometimes seem awkward to place emphases on behaviors that some employees follow and some don’t, but start small. When handing out new phones or other devices, preinstall workplace-appropriate health-tracking apps. Consider examples such as GetHealth, which helps employers initiate employees into their healthcare plans in easy, social ways. Or try the Runtastic Pedometer Step Counter & Walking Tracker, which employees can use to boost activity right in the workplace. Few things appeal to people like monetary incentives do, and the Affordable Care Act increases the amount of money employers can pay their workers to get healthy. Though employers might worry about discrimination cases ensuing if they reward some employees and not others, the Affordable Care Act actually provides a good bit of wiggle room in setting goals. While employees can reap rewards for hitting target weights and quitting smoking, they can also gain them for getting close to their goal weight or simply cutting back on tobacco. Many of your employees sit all day, which leads to hunching and secondary problems like carpal tunnel or strained backs. Ensure that both you and your employees recognize the signs and symptoms of carpal tunnel, and offer ergonomic keyboards to support employees who spend the day typing. Encourage employees to have routine checkups to check for back problems, especially if they complain of pain. Doctors at various Laser Spine Institute locations treat an array of spinal injuries, including bulging and herniated discs and pinched nerves, and may be able to alleviate your employees’ back pain. Too often, businesses implement employee recognition systems haphazardly and without enough forethought about the actions they intend to reward. 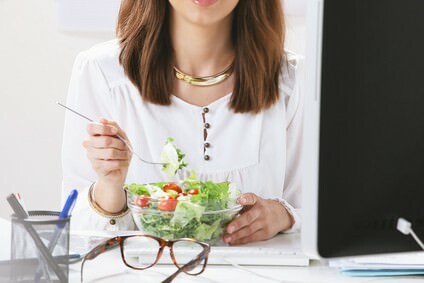 If you want healthy employees, recognize health-related efforts: using fewer sick days, getting fewer injuries, or meeting smaller health-oriented goals, such as bringing lunch. Whenever possible, recognize behaviors at the time they occur, as well as tying them to preset goals, making sure the reward matches the action and only using money part of the time. Want to get the whole team in on it? Try programs like SendLove, which allows employees to send messages of thanks and support to one another.